Basketball is a game of strategy and skill. It is generally seen that tall players dominate the field. The tallest member of the team is chosen for the position as a center or, as colloquially known, the Five. A center with amazing skills for rebound and scoring with a tall and heavy structure is the best asset of any basketball team. Starting from defending own basket till taking the jump balls, centers always play a key role even in NBA history. Many players like Tim Duncan deserve the respect as a true center, but he played as a power forward instead throughout his entire career. Many players of modern days are taken more seriously as a power forward over the center position to play a key role during the match because an ideal sized forward is much more effective in modern matches. But center position will always hold its unique demand to rebound the ball during matches. The tallest centers to ever play in the NBA are Gheorghe Mureşan and ManuteBol with their gigantic 7 feet 7 inches height. Basketball fans always remember the best centers of the NBA history for their contributions in winning matches, so here is the list of top 10 Best Centers in NBA History. Retired American basketball player Kareem Abdul-Jabbar is widely considered as one of the all Time Greatest NBA Player and also greatest centers of all time, with his trademark “skyhook” shot. He was drafted by the Milwaukee Bucks as a first round first overall pick in 1969 NBA Draft. He played the entire 20 seasons of professional gaming for Milwaukee Bucks and Los Angeles Lakers from 1969 to 1989. 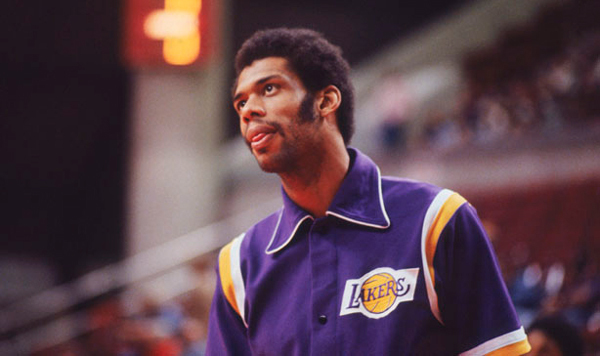 Jabbar made 17,440 rebounds and scored 38,387 points with an average of 24.6 points per game. He led Milwaukee Bucks to victory of the 1971 NBA championships and also made Los Angeles Lakers a 5 times NBA champion. Jabbar also became a record 19-time NBA All-Star, a record six-time NBA Most Valuable Player and selected in All-NBA First Team a whopping 10 times. He was inducted in the Basketball Hall of Fame in 1995. 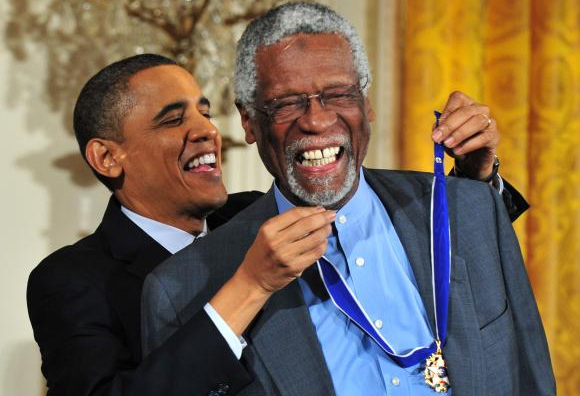 Former American basketball player Bill Russell led the U.S. national basketball team to victory of the 1956 Melbourne Olympics as the captain. He was drafted by the St. Louis Hawks as a first round second overall pick in 1956 NBA Draft. He played the entire 13 season of professional basketball for Boston Celtics from 1956 to 1969 and became the centerpiece of the Celtics dynasty. Russell made 21,620 rebounds and scored 14,522 points with an average of 15.1 points per game. He made the Celtics a record 11 times NBA champion and became the NBA Most Valuable Player five times. He was selected in the NBA All-Star 12 times, and made it to All-NBA First team 3 times. He was inducted in the Basketball Hall of Fame in 1975. Russell was awarded the Presidential Medal of Freedom in 2011 by Barack Obama. Former American basketball player Wilt Chamberlain is widely regarded as one of the greatest and most dominant players in NBA history. He was drafted by the Philadelphia Warriors as a territorial pick in 1959 NBA Draft. He played the entire 14 seasons of professional basketball for San Francisco Warriors, Philadelphia 76ers and Los Angeles Lakers from 1959 to 1973 and became the NBA champion with two teams. Chamberlain made 23,924 rebounds and scored 31,419 points with an average of 30.1 points per game. He became the NBA All-Star Game MVP in 1960. 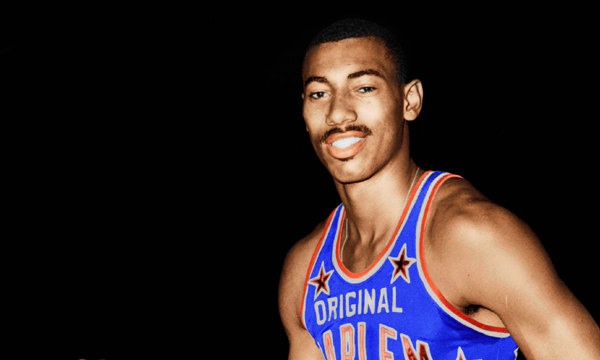 Chamberlain also became NBA Regular season Most Valuable Player 4 times and was selected as NBA All-Star 13 times. He was selected in NBA 50th Anniversary Team and was inducted in the Basketball Hall of Fame in 1978. 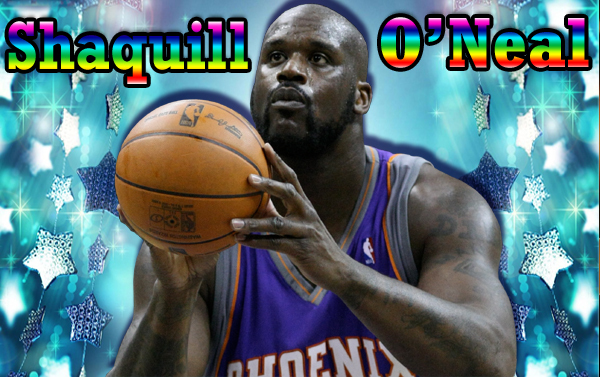 Retired American basketball player Shaquille O’Neal is widely considered as one of the best centers in in NBA history for his 6th all-time ranking in points scored, 5th ranking in field goals and 13th rank in rebounds. He was drafted by the Orlando Magic as a first round first overall pick in 1992 NBA Draft. He played the entire 19 seasons of his career for Orlando Magic, Los Angeles Lakers, Miami Heat, Phoenix Suns, Cleveland Cavaliers and Boston Celtics from 1992 to 2011. Shaquille made 13,099 rebounds and scored 28,596 points with an average of 23.7 points per game. He was a key member of Los Angeles Lakers for winning three consecutive NBA championships and was named All-Star 15 times. He was inducted in the College Basketball Hall of Fame in 2014. 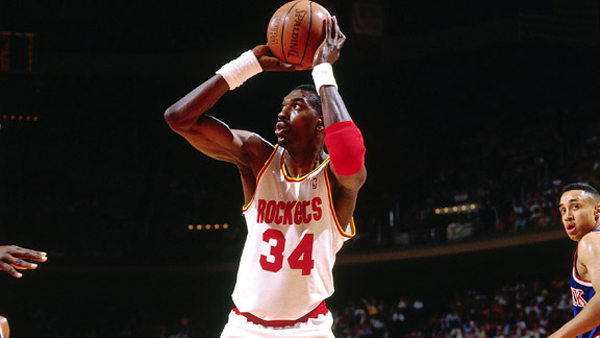 Retired Nigerian- American basketball player Hakeem Olajuwon was nicknamed “The Dream” for his amazing grace on the field. He was drafted by the Houston Rockets as a first round first overall pick in 1984 NBA Draft. He played the entire 18 seasons of his career for Houston Rockets and Toronto Raptors from 1984 to 2002. Olajuwon made 13,747 rebounds and scored 26,946 points with an average of 21.8 points per game. He was a key member of U.S. National team that won the gold in 1996 Atlanta Olympic. 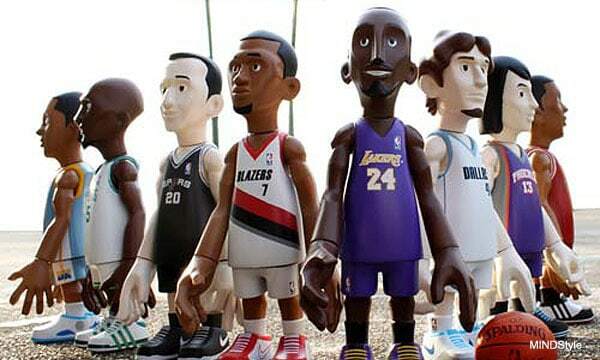 He was named NBA All-Star 12 times and became the NBA final MVP twice in his career. He was also selected in All-NBA First Team 6 times and in All-Defensive First Team 5 times. Olajuwon was inducted in the Basketball Hall of Fame in 2008. Retired American basketball player Moses Malone showed his skills in both NBA and ABA, and was nicknamed “Chairman of the Boards” and “Big Mo.” After playing for ABA for two seasons, he was drafted by the Portland Trail Blazers as the fifth overall pick in 1976 ABA Dispersal Draft during the NBA-ABA merging. 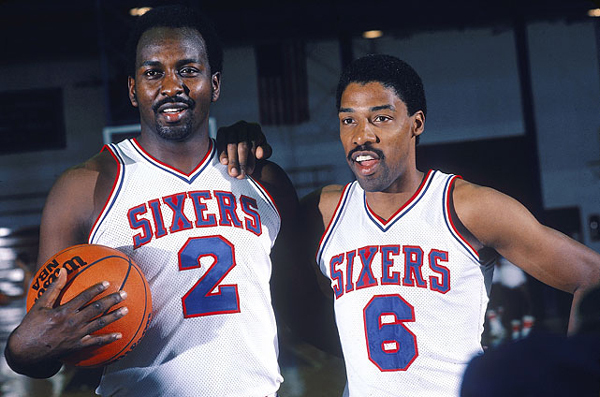 He played the entire 19 seasons of his NBA career for Houston Rockets, Philadelphia 76ers, Washington Bullets, Atlanta Hawks, Milwaukee Bucks, Philadelphia 76ers and San Antonio Spurs from 1976 to 1995. Malone made 17,834 rebounds and scored 29,580 points with an average of 20.6 points per game. He became the NBA regular season MVP thrice and was named the NBA Finals MVP in 1983. He was selected in NBA All-Star 12 times and in All-NBA First Team another 4 times. Malone was inducted in Basketball Hall of Fame in 2001. 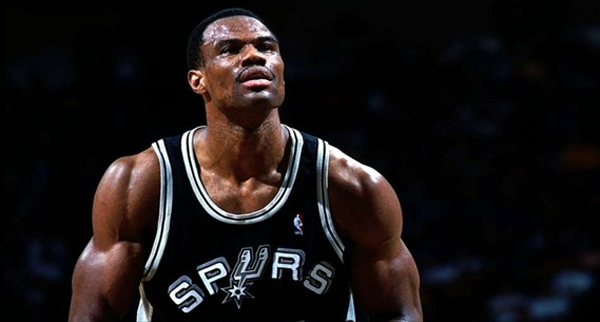 Retired American basketball player David Robinson was considered as the greatest player of San Antonio Spurs and was nicknamed “The Admiral” for his prior service in the United States Navy. He was drafted by the San Antonio Spurs as a first round first overall pick in 1987 NBA Draft and played the entire 13 seasons of his career for the same team from 1989 to 2003. Robinson made 10,497 rebounds and scored 20,790 points with an average of 21.1 points per game and till date he is the only player from Navy to play in the NBA. He led the U.S. National team to victory of the 1992 Barcelona Olympic and 1996 Atlanta Olympic. Robinson was named NBA All-Star 10 times and achieved the NBA MVP in 1995. He was inducted two-time in U.S. Olympic Hall of Fame and also inducted in the Basketball Hall of Fame in 2009. 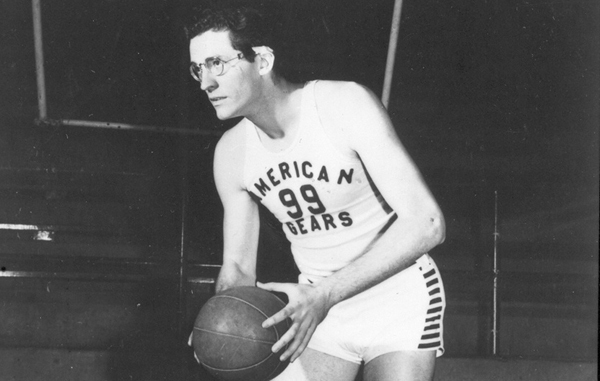 Former American basketball player George Mikan is not present among us but will always be remembered as one of the greatest centers in NBA history and also for creating the Mikan Drill. He was nicknamed Mr. Basketball for his amazing skills that he showed during in 1950’s. 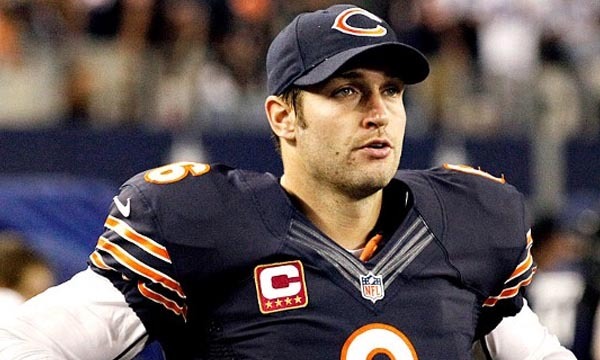 After playing for DePaul University in NCAA, he joined Chicago American Gears. He played the entire 10 seasons of professional basketball for Chicago American Gears and Minneapolis Lakers from 1946 to 1956. Mikan made 4,167 rebounds in last 5 seasons of NBA and scored 10,156 points with an average of 23.1 points per game. He was named the NBA-All Star four times and became the NBA All-Star game MVP in 1953. Mikan was inducted in Naismith Memorial Basketball Hall of Fame in 1959. 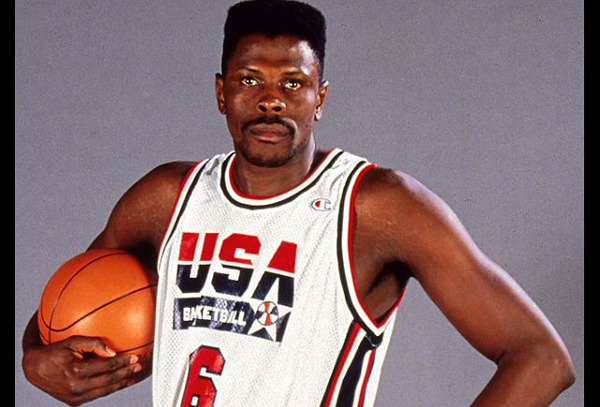 Jamaican-American retired basketball player Patrick Ewing was named as the 16th greatest college player of all time by ESPN. He was drafted by the New York Knicks as a first round first overall pick in 1985 NBA Draft. He played the entire 17 seasons of professional basketball for the Knicks, Seattle SuperSonics and Orlando Magic from 1985 to 2002. Ewing made 11,617 rebounds and scored 24,815 points with an average of 21 points per game. He was honored in the NBA All-Star 11 times and was selected in the All-NBA First Team in 1990. He was selected as one of the 50 Greatest Players in NBA History in a 1996 poll celebrating the 50th anniversary of NBA. 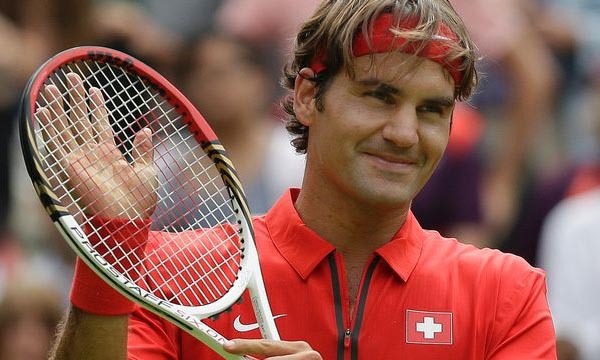 He was inducted as a member of the “Dream Team” in the U.S. Olympic Hall of Fame in 2009. Ewing currently serves as the associate head coach of the Charlotte Hornets. 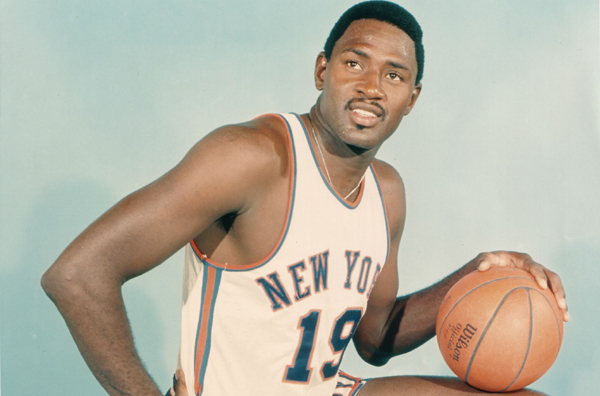 Retired American basketball player Willis Reed was voted one of the “50 Greatest Players in NBA History” and widely considered as the best center of late 1960’s. He was drafted by the New York Knicks as a second round eighth overall pick in 1964 NBA Draft and played the entire 10 seasons of professional basketball for the same team from 1964 to 1974. Reed made 8,414 rebounds and scored 12,183 points with an average of 18.7 points per game. He also led the Knicks to victory of the NBA championship twice during his career. He was named the NBA Most Valuable Player in 1970 and also named NBA Finals MVP twice. He made it to the NBA All-Star seven times consecutively from 1965 and became the NBA All-Star Game MVP in 1970. Reed was inducted in the Basketball Hall of Fame in 1982. Other notable mentions as the greatest centers of all time are Elvin Hayes and Walt Bellamy. Hayes played most of his career for Washington Wizard and scored 27,313 points with an average of 21 per match. Walt also established himself as the best center while playing mostly for the Baltimore Bullets and scored 14,241 rebounds and 20,941 points with an average of 20.1 per match.